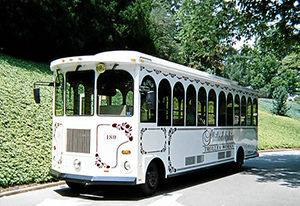 Hop on a vintage trolley and see Historic Newtown! 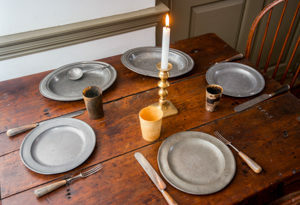 Learn about Newtown’s Colonial and Victorian roots with a knowledgeable tour guide. Bring your family and friends and enjoy the town and its sites in a whole new way. It’s the 2nd annual NHA Garden Walk of Newtown! 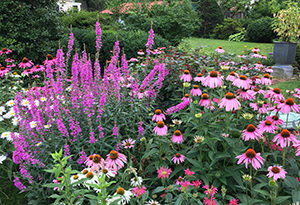 Learn from the Countryside Gardeners, enjoy the lovely local gardens and get your steps in at the same time. 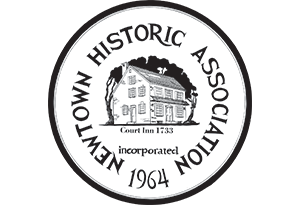 The Newtown Historic Association has run this tour for over 45 years. 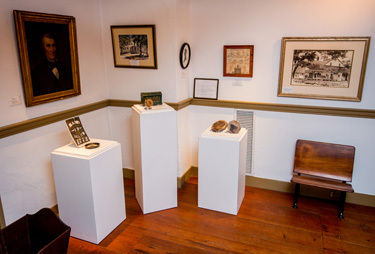 It's a great way for the children of Newtown to learn about the history and heritage of their town. 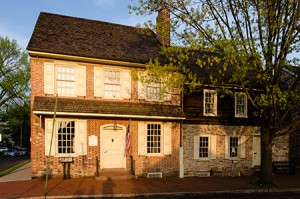 Take a guided walking tour of Historic Newtown with Jeff Marshall, president of the Heritage Conservancy. 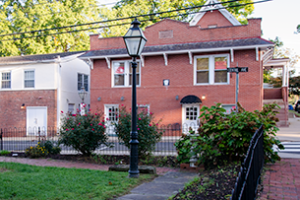 Learn about Newtown’s architecture and history and get some exercise, too! 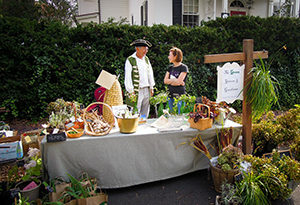 Market Day is an annual outdoor event that celebrates the colonial tradition of local farmers & homesteaders bringing their crops, livestock, and homemade wares into town to sell to neighbors & townspeople. 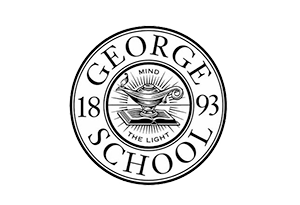 Jack Foster Murals presentation: The October meeting of the Newtown Historic Association will be held at the George School, Rte. 413 Newtown. Well, are you feeling lucky? 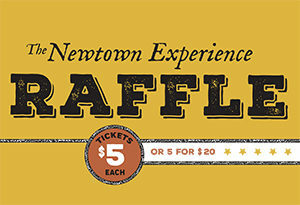 Get your tickets for the Newtown Experience Raffle! The Newtown Mercantile Group raffle to support the NHA is underway with the drawing on October 27th after the Halloween Parade. 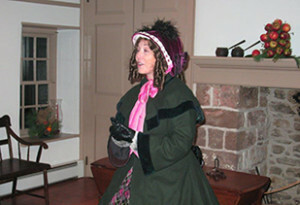 Scrooge’s sister, Fan, to visit the Half Moon Inn! 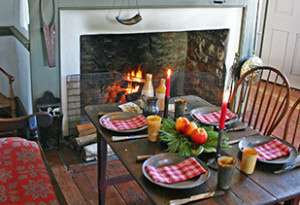 Join us at the Half Moon Inn and kick off your Holiday Season with Charles Dickens’ “A Christmas Carol”! The 56th Annual Open House Tour gives participants an exclusive look inside many private local homes and historic buildings decorated for the holiday season. 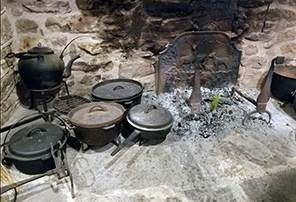 Kevin Kerchner will be sharing his knowledge and love of antiques. 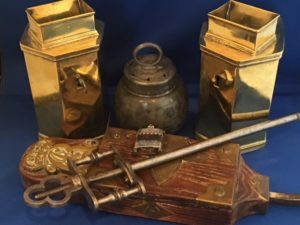 An avid collector for over 40 years, he will showing and discussing some of the more interesting items from his collection of early antiques. 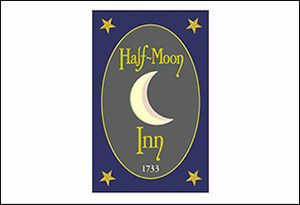 We need people to help restore some luster to the many historical items and furnishings in the Half-Moon Inn. No experience is necessary!